ISC WEST is held the 10th to 12th of April 2019 and is the largest converged security exposition in the US. The conference and exposition is focused on every aspect in the field of security – video surveillance, smart homes, access control, public security and much more. At this year’s International Security Conference & Exposition, ISC WEST, Nabto will have a booth with our customer EyeCloud.ai. Held in Las Vegas, the trade show will cover everything from smart home, public security, video surveillance, drones – and many other innovative and intelligent security solution. 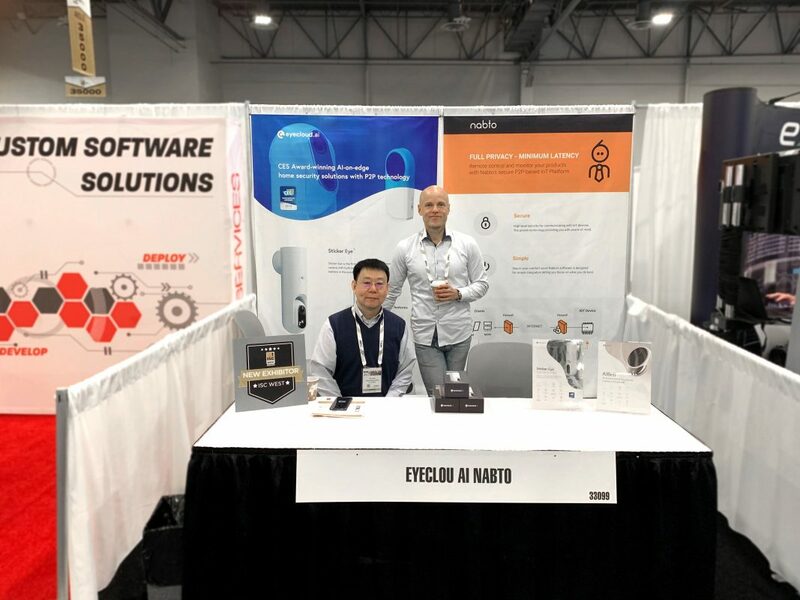 EyeCloud.ai is the recent winner of the CES innovation award and is the first globally to develop wireless home security cameras with AI technology. They have used Nabto’s P2P technology in their AI-on-edge cameras that are designed for human security and privacy – which they will showcase at ISC WEST. Find us at booth 33099 and hear more about how the Nabto P2P platform can be an outstanding solution for your security products.